Do you ever feel poorly after eating certain foods? Perhaps you are experiencing digestive complaints, chronic pain or eczema and haven’t been able to figure it out. 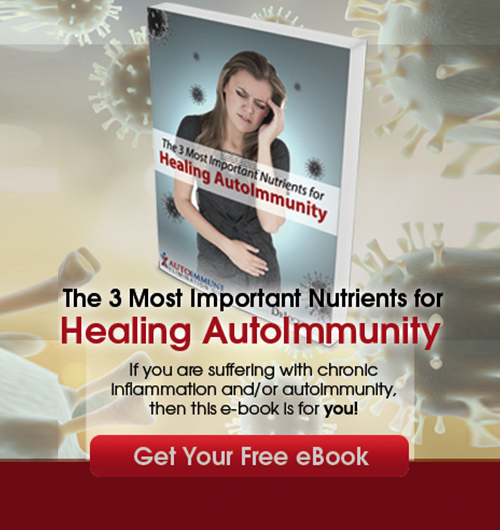 Your body may be having an inflammatory reaction to the food you are eating and it could be of great benefit to try the autoimmune elimination diet. An elimination diet is an eating plan that eliminates certain foods that can be contributing to inflammation and other reactions. Over time, the level of inflammation reduces and the body is able to heal and repair itself. After this period of time, which could be anywhere from several days to a week, to in some cases several years, the individual reintroduces some of the inflammatory provoking foods. They then monitor how their body responds to this reintroduction and that helps to give them biological feedback as to whether the food is making them strong or weak. 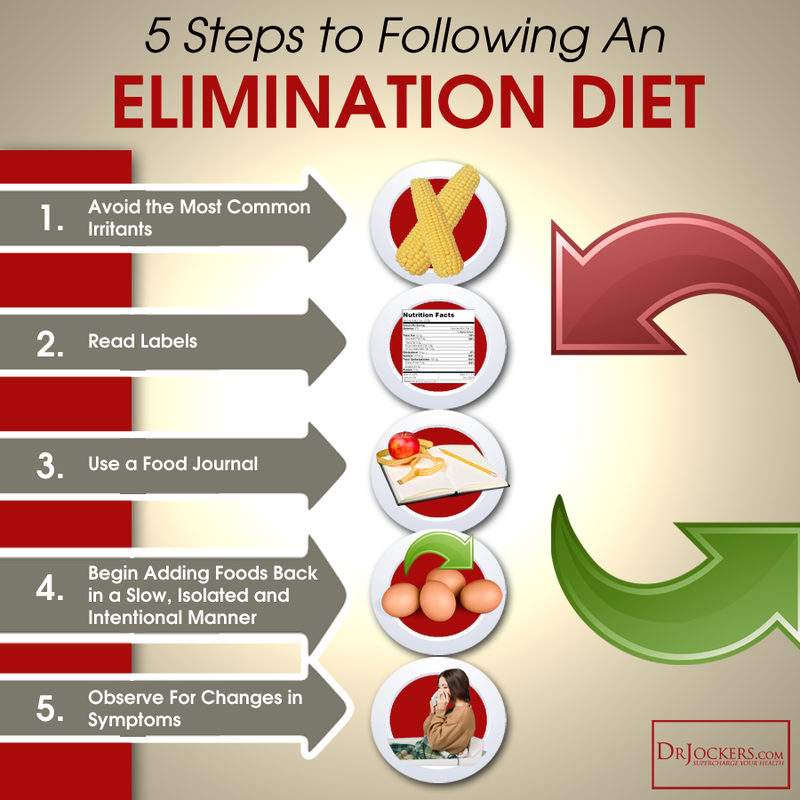 This article discusses the steps to take in following an elimination diet. Roughly 70% of the immune system is held within our digestive tract (1). Our gut and brain have an intimate connection through what is called the enteric nervous system. The enteric nervous system is a series of neurotransmitters that send chemical messages to the brain in order to trigger the release of enzymes, hormones and inflammatory responses. Everything we put into our mouth travels through the digestive tract and impacts the brain. This communication process helps us understand when we are hungry or full. These same signals are also communicating messages related to food sensitivities, microbial infections and nutrient deficiencies. When you eat something that your body perceives as a threat, the immune system and brain respond by creating an inflammatory reaction. During an elimination diet, the individual takes out all the suspicious foods for a period of time (usually a month or so) and then reintroduces them one by one to see how their body responds to them. If the inflammatory response stops when the food is eliminated but returns shortly after reintroduction than it is clear that food is not tolerated by the body and is causing more harm than good. In these cases, it is best for the individual to remove this food again for a longer period of time or indefinitely in certain cases. Avoid the Most Common Irritants: Avoid eating all common allergen/sensitive foods from the list below for about three weeks. Read Labels: Be sure to read food labels and make sure you avoid even trace amounts of these foods. You would be surprised how they get gluten and dairy in all kinds of things you wouldn’t expect them to be in. Use a Food Journal: It is wise to keep a food journal during this period in order to assess how you feel. This will be an important resource when you begin reintroducing foods in the future. Begin Adding Foods Back in a Slow, Isolated and Intentional Manner: After a month, add back one fringe food at a time. Eat the fringe food daily if you are able to for 3 days and record your symptoms. Look for any changes in your symptoms between the elimination phase and the reintroduction phase. Observe For Changes in Symptoms: If you notice any symptoms returning after you begin consuming these fringe foods, than try eliminating that food again. Be sure that adding that one particular food was the only major stress on your body during that period. If so, than keep that food out of your diet for at least another month before trying again. Individual people can react to any food and everyone is different so the elimination diet could look different based on the uniqueness of each person going through it. The best way to start is to eliminate the foods that research has shown to be most immune reactive. Who Should Do A Food Elimination Diet? As a clinician, I believe that everyone would benefit from doing a form of an elimination diet at least once in their lifetime. Most people are going about their lives creating unwanted inflammation that is provoked by many of the foods they are consuming each day. An elimination diet can help remove these hidden sources of inflammation and allow for a significantly higher level of quality of life. I have seen a number of clients who suffered from headaches or skin conditions like acne or eczema and chronic pain who have seen almost complete elimination of these conditions after a food elimination diet. Even more importantly, they have realized what foods were the major culprits and therefore they could predictably live free of these symptoms throughout the rest of their lives. As you go through the elimination diet, you should aim to consume lots of raw, steamed or satueed vegetables, clean protein sources and healthy fats. Look for organic sources of both meat and vegetables whenever possible. Some of the best healing vegetables include cruciferous veggies like cauliflower, broccoli, Brussel sprouts, cabbage, kale, watercress, bok choy, radishes, collard greens and artichokes. We love to include cruciferous sprouts such as broccoli or kale sprouts which are an extremely rich source of liver detoxifying agents. Other great vegetables to include are celery, fennel, cucumbers, lettuces, squash, pumpkin, sweet potato, mushrooms, snow peas, green beans and sea vegetables like kelp. The best fruit to include would be low-glycemic versions such as berries, grapefruits, lemons, limes and granny smith apples. You will enjoy healthy proteins such as organic poultry, grass-fed beef, wild-caught fish and wild game. This program allows for you to enjoy a variety of herbs and spices such as turmeric, oregano, basil, thyme, cinnamon, ginger and more. The staple calorie source is going to come from good fats such as coconut oil, coconut flour, coconut butter, coconut flakes, coconut milk, grass-fed ghee, olives and olive oil and avocados. You can also have a moderate amount of sprouted pumpkin seeds, chia, hemp and flax seeds. Fermented foods such as sauerkraut, kimchi, coconut water kefir, coconut yogurt and apple cider vinegar are key additions to provide pre metabolized nutrients and probiotics to heal the digestive system. As you begin on the elimination diet, it is adviseable to keep a journal and record how you feel throughout each day. You want to take note of any skin reactions, digestive disturbances, trouble sleeping, increase in pain, etc. If you notice a trend when you are consuming certain foods than look to eliminate those as well for a period of time and see if your symptoms get better. People with major digestive disorders will often need to remove things like high FODMAP fruits and vegetables and red meats. Although more rare than the foods eliminated above, some individuals are unable to tolerate seeds, for others it is citrus and those with very low stomach acid really struggle with red meat. Others will have their unique intolerances that can only really be found through pulse testing or observing symptomatic changes when you consume these foods. The greatest doctor for your body is Within You! As a doctor, I do whatever I can to help my clients understand the messages their body is giving them. It is up to you to take the time to journal and listen to the messages within you and how you are responding to the foods and the stresses you are under on a daily basis. Let the food elimination diet be a guide to help you achieve your optimal health. 1. Vighi G, Marcucci F, Sensi L, Di Cara G, Frati F. Allergy and the gastrointestinal system. Clinical and Experimental Immunology. 2008;153(Suppl 1):3-6. Thank you so much for posting this great article. Of course I’ve seard of this from other sources, however, I feel you have presented it in such a fashion as to make it worth trying for millions of Americans. I especially like the suggestions of foods we should eat while trying this diet. Great info.! Thank you Dede, I am actually producing an online program that makes it as easy as possible to follow and apply. 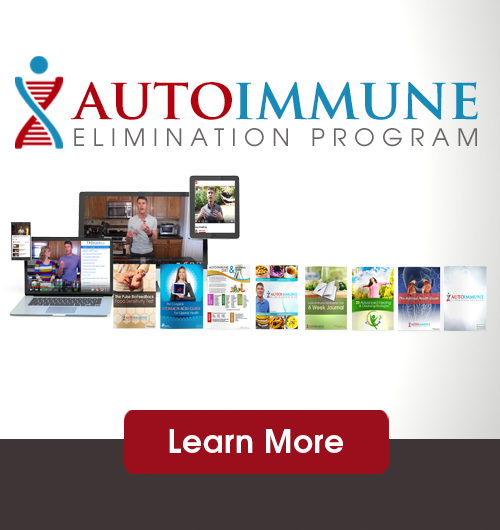 It will be called the AutoImmune Elimination program. Look out for that in a few months. Great information Dr. Jockers thank you so much for posting and sharing it with us! You truly presented this so great!! Is Qiinoa healthy compared to white rice for chronic kidney disease? Yes it is much healthier than white rice, but in general, we recommend a very low carb (no starch) diet for kidney disease. Loved the video, thank you. I am in constant pain with diverticulitis, constant flare ups and it has taken over my life! I can’t work and I’m desperate for advice. You may also consider working with one of our health coaches on this as they can help develop a plan and get you back on the right track to health. Dr Jockers, would this protocol be an effective approach to managing menopausal arthritis/ joint pain? Many folks with celiac or gluten sensitivity have a problem with seaweed or products made from seaweed such as carrageenan, algin, sodium alginate, agar. Well known that algae is an issue for folks with autoimmune diseases and seaweed is in the algae family do it makes sense seaweeds would also be an issue. For me I react GI wise as if I’ve eaten gluten with severe joint issues fir weeks. I wouldn’t recommend anyone on an elimination diet include seaweed. Thanks for sharing Sharon. Definitely avoid the processed versions but I have not seen this problem with pure algae products! I have colonic inertia — my colon doesn’t move/squeeze the food/matter out of my system. Should I continue to take enzymes, probiotics and Colon Cleanz (daily) while I do the elimination diet? My 102 year old mother is struggling with hemalytic anemia. The doctors just don’t know how to treat her, except for blood transfusions and folic acid, which are short-term in results. She also suffers eczema and joint pain. I would love to try an elimination program but she is also “addicted” to Spanish red-skinned peanuts. No kidding, she eats a can per week. I don’t know if I could get her to give them up, much less give up milk and eggs. On one hand I want her to enjoy eating what she likes at her age. On the other hand, I feel like her inflammation is continually exacerbated, and this could help. Any advice? Maybe more yogurt or probiotics? Unfortunately, hemolytic anemia is often related to autoimmunity and potentially leaky gut. Removing these foods can be important for helping the gut heal and reducing immune activity. High doses of Colostrum, Vitamin C & Beta Glucans, and digestive support (enzymes and HCL) can all help! Is coffee permitted on the elimination diet? Also, some elimination diets omit citrus. Is that necessary on your elimination diet protocol? Why or why not? Also, green beans are okay? Sorry for so many questions, but there are so many conflicting resources out there… Trying to find the best protocol for me. I am trying the elimination diet as a preliminary step to reversing asthma symptoms (per your article). Yes greens beans and citrus are ok but not nutritional yeast. Wish you all the best on your healing journal! Be Blessed! Hello 🙂 your ‘yes or no list’ helped me so much thank you! I have rosacea on my face + flushing on my neck sometimes and reflux too. So I wanted to ask that if I can drink tea made of dried rosehip on the elimination diet? Yes you can drink that! If anything on the list flares you up, be sure to avoid it as everyone has their own unique food sensitivities.